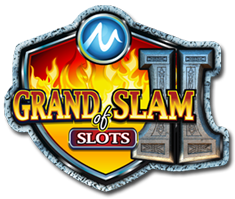 The first Grand Slam of Slots Tournament was such a success, with thousands of people entering, that it seemed like a great idea to host it again this year. And what a better way to do it, than with Microgaming's new Thunderstruck II video slot game, that offers 243 ways to win. And just to sweeten the pot, a lucky player will also walk away with $2.43 Million in gold bullion! Just complete all 243 winning ways in the tournament on the video slot game first and the gold is yours! The top 290 players in the tournament will receive prizes, with first place walking away with a massive $100'000! So what are you waiting for? The Grand Slam of Slots Tournament II started on the 14 of March 2011 and you can't afford to be late!